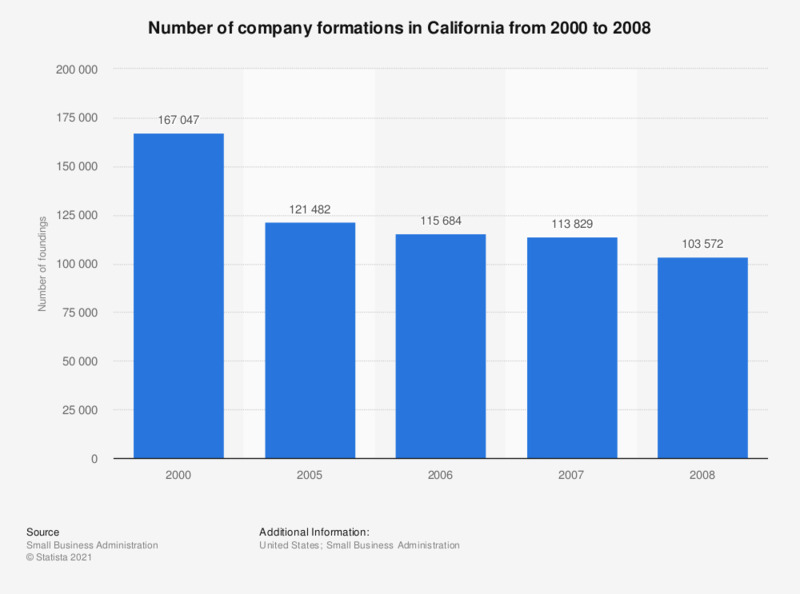 This statistic shows the number of company formations in California from 2000 to 2008. 167,047 firm establishments were recorded in California in the year 2000. Company formation represents the birth of an employing unit which is determined, for the first time, as meeting the definition of ‘‘employer’’ in the state unemployment compensation law or a previously terminated employing unit, which again is determined as meeting the definition of employer. Statistics on "Startups in Europe"